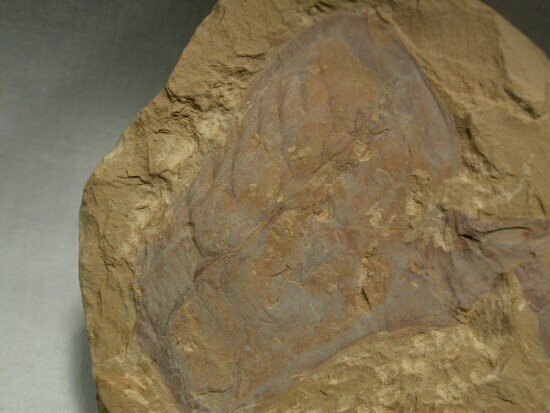 This unusual fossil is an example of Vetulicola cuneata (also spelled cuneatus), a member of the Vetulicolians, an enigmatic group which some scientists place in their own phylum (Phylum Vetulicolia). 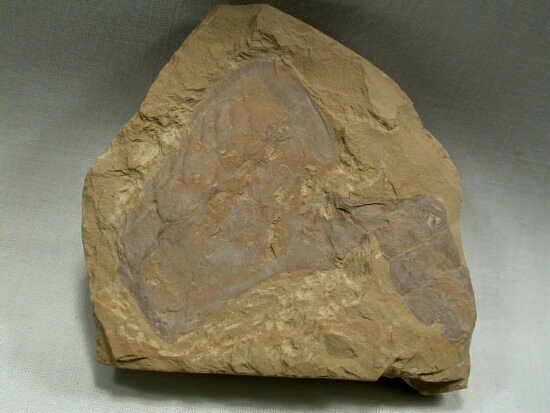 They are thought to have been swimmers that either were filter feeders or detritivores. One researcher places them with the Urochordates, giving them strong affinity with the Phylum Chordata. At present, there is no agreement as to their systematic placement. 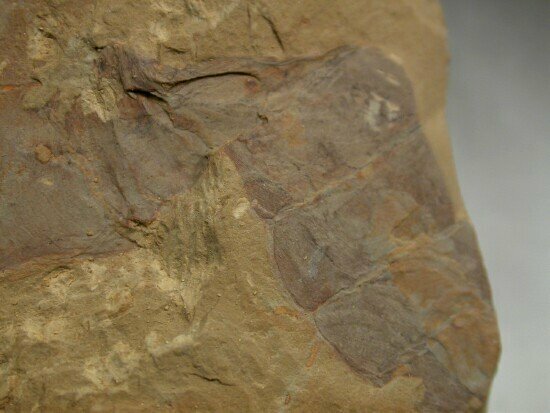 This specimen comes from the Chengjiang Biota, and is thus slightly older than the Burgess Shale Fauna of British Columbia. The closeup shows the diamond-shaped openings that allowed water to pass out of the interior. They served either a respiratory or filter-feeding function. 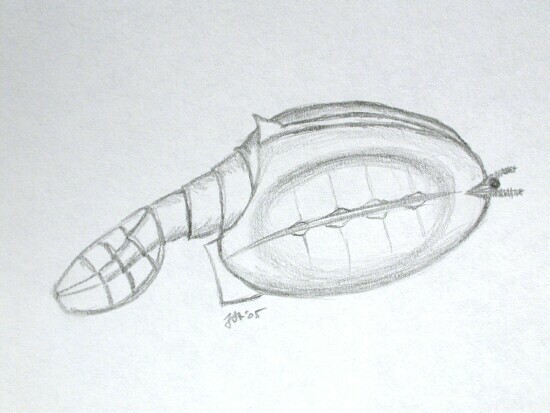 The abdomen is to the right and bent back along the carapace. If fully stretched out, this specimen would approach 7 cm. 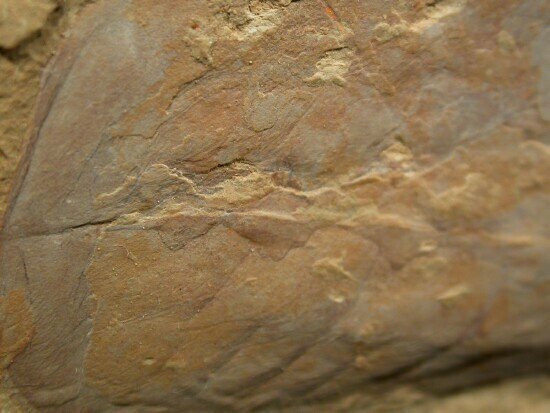 The Chengjiang fossils comprise the oldest, diverse metazoan faunal assemblage above the Proterozoic-Phanerozoic transition, and thus the fossil record’s best data source for understanding the apparently rapid diversification of life known as the Cambrian Explosion.